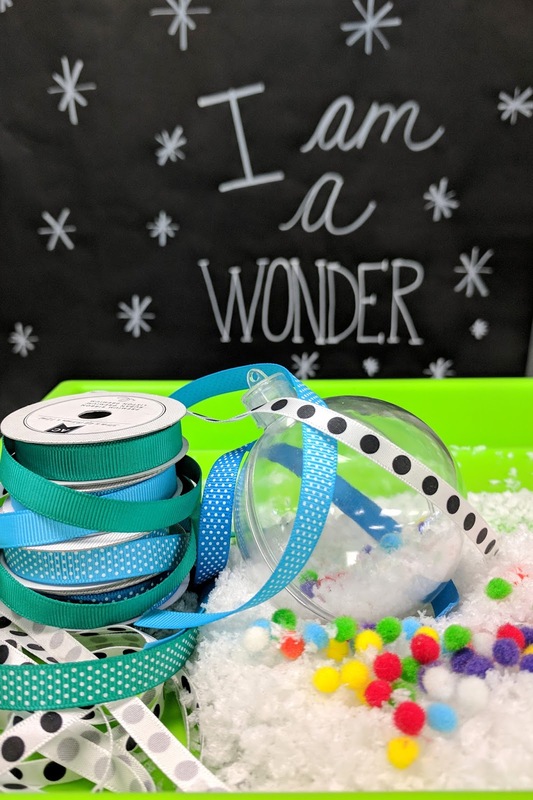 T'was the week before Christmas break when all through the school not a creature was stirring except for a crazy few, when what to their wondering eyes should appear but a fun idea for the end of the year! 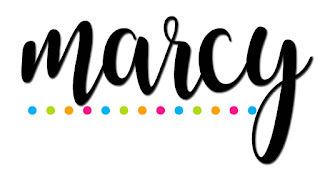 Let's face it December is rough even for seasoned teachers, there is so much you need to do, so much you want to do and even more you have to do! 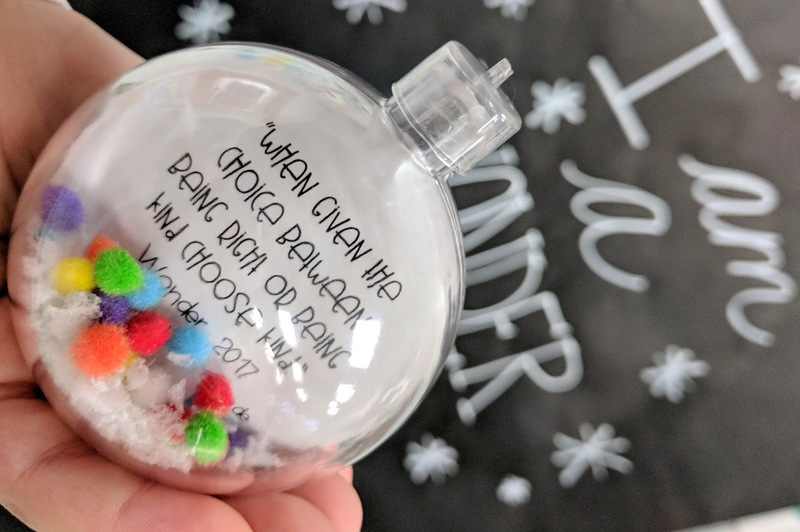 So take a few moments with your students to reflect on the year so far and create an ornament that helps them to remember something memorable from the year so far. 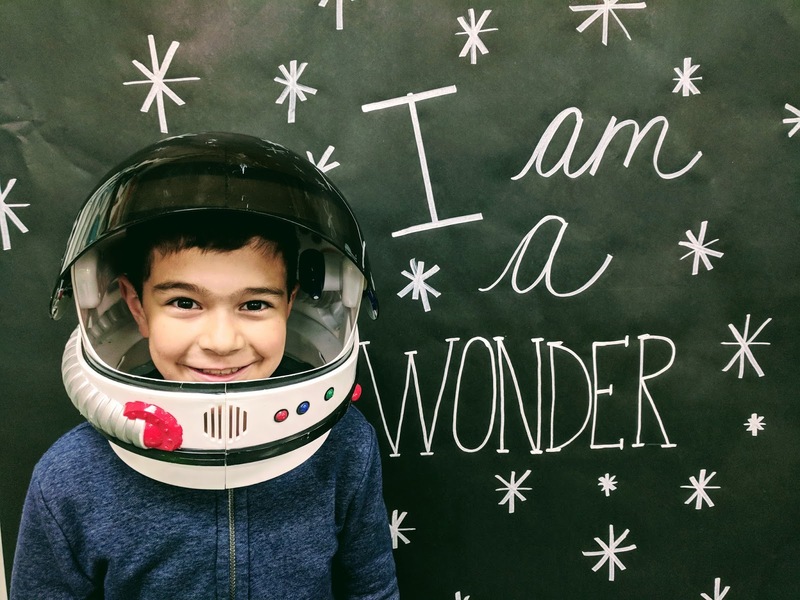 For my students we have been working on a novel study of Wonder for the past few months. They are extremely engaged and absolutely love it! So for our ornament this year I wanted to create something that would also be a keepsake for my students to look back on for years to come. 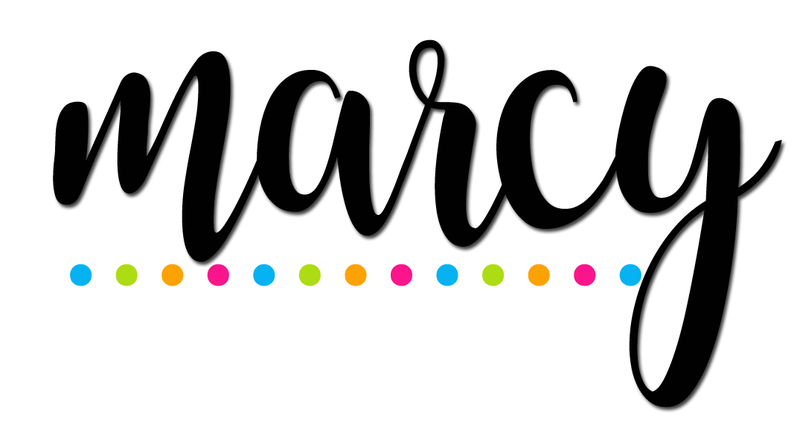 These are fun to create and simply adorable. 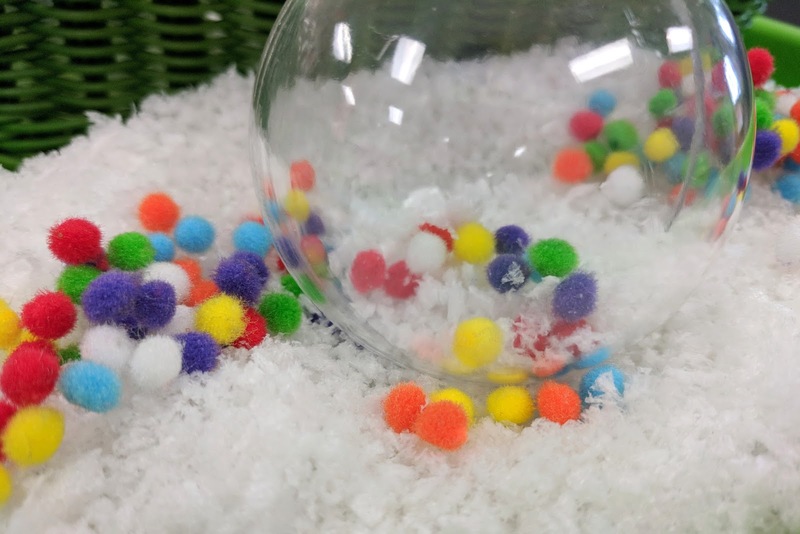 The perfect addition to all those hand made ornaments that adorn family Christmas trees. First set up a photo backdrop, just take some black fadeless paper and decorate using a chalk marker. I like to use a ruler to help guide my words to ensure they are straight. I chose a tag line from the book. 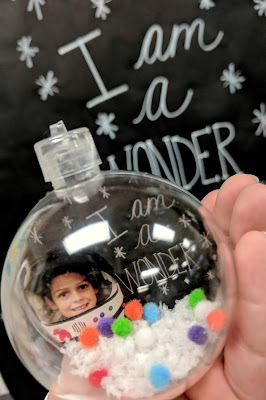 I am a Wonder. 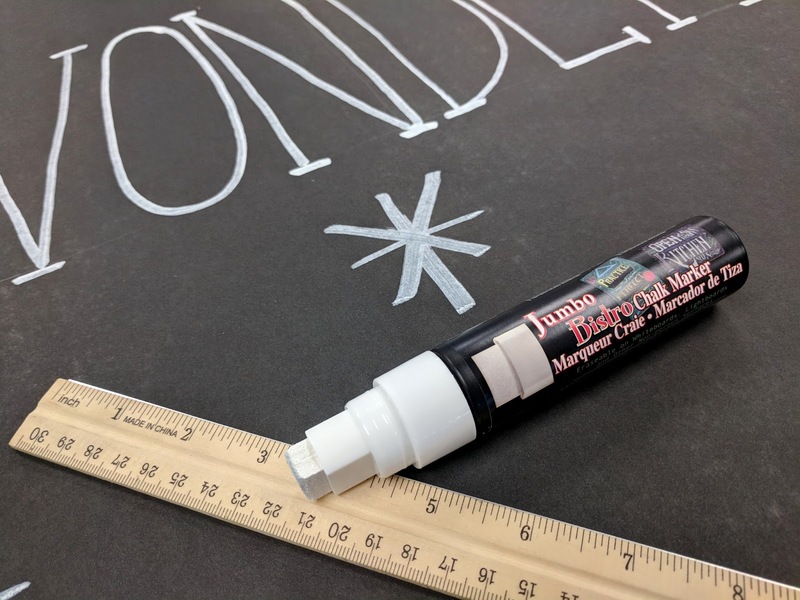 I love using the chalk markers because if kids touch the backdrop it doesn't wipe away.You can also roll it up and use it for the next year. Once you have your backdrop all set all you need to do is start taking your photos. We used a plastic astronaut helmet. The students took turns posing for their photos. Once your photos are done, insert them into a word document and resize as needed for printing. I found that I needed mine about 2 1/5 inches wide. I used clear photo ornaments so I just opened them and traced the photo so it would be an accurate cut. Once it is cut out I added a quote from the movie onto the back with some glue. 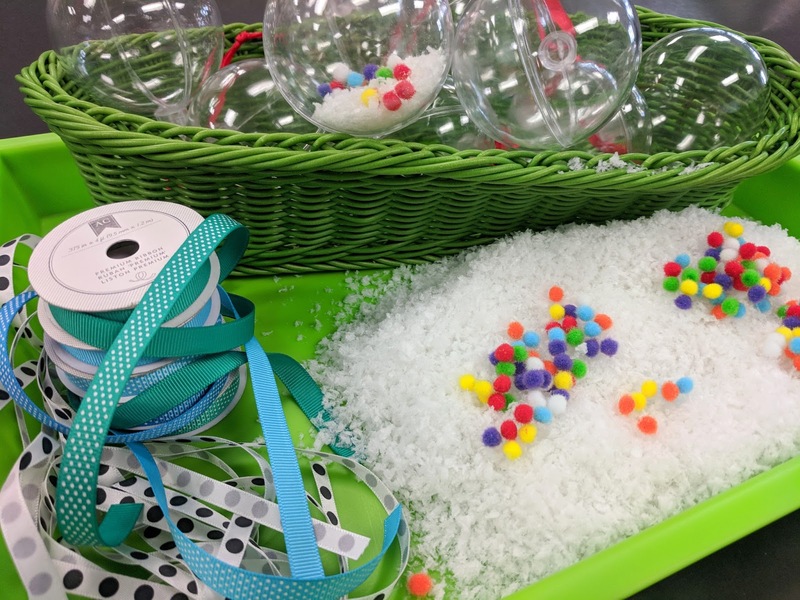 Just add some craft snow and some mini pom poms and you are all set! Close the ornament and add some colorful ribbon for hanging. 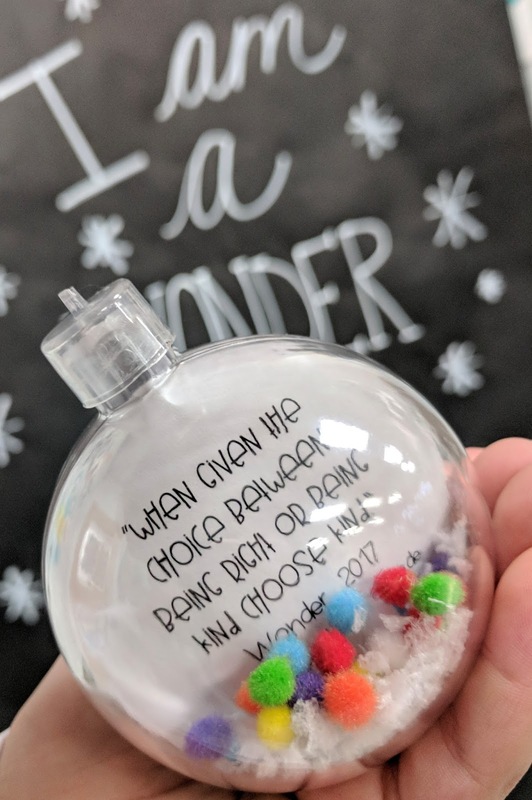 These fun ornaments will be a precious memory for my students for years to come. I can't wait to send these beauties home!